The 27th Annual Meeting of the Dysphagia Research Society, held at the Wyndham San Diego Bayside, CA, was a huge success! It was indeed a memorable one to several of us! This was made possible because of significant contributions from several individuals, committee members and groups. Team work, happiness and enthusiasm were in abundance, and made the meeting a grand success; this was evident throughout the meeting. It was like an annual DRS family reunion! The recorded meeting attendance for the annual meeting was outstanding with a total of 502 in all (457 in attendance plus 45 exhibitors/sponsors). The representative disciplines included – Pediatric and Adult Speech and Language Pathologists, Physician-Specialists, Pediatric specialists, ENT Surgeons, Dental surgeons, Allied health professionals and Business specialists, all representing from over 30 countries attending. Success was also related to the quality of scientific program, and the scientific abstract submissions. This year’s presentation quality—the scientific quality—was among the best we’ve ever had. Overall, there were 50 oral presentations and 106 poster presentations selected out of 227 scientific abstracts submitted. 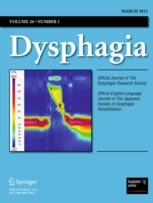 Accepted abstracts from the 2019 meeting and also from the 2018 meeting will be published in the Dysphagia Journal in this summer and fall issues. The Pre-Conference course held on March 5th, 2019, had an impressive attendance of 236 dysphagia specialists. Overall a maximum of 31 CME credits were awarded through Medical College of Wisconsin for attending the entire Conference, 0.85 ASHA CEUs were offered for Pre-Conference and 2.15 ASHA CEUs were offered for the Annual Meeting. The Mayor of San Diego, Honorable Kevin Faulconer, kindly proclaimed March as ‘Swallowing Disorders Awareness Month’! Thank you to the outstanding program committee, DRS Board of Directors and the Executive Committee, Scientific Abstract Review Committee, our donors, sponsors and exhibitors, and the innovative management team of Badger Bay Management Company, which is truly their 1st year of full service to DRS! Congratulations! From the discovery to mass translation, it takes several years, perhaps a generation in the life of a child. Our conference vision was to arm the researchers with new knowledge and shorten this interval, and the Program Planning Committee took this challenge in developing an ambitious program. In keeping with the meeting theme, i.e., Swallowing, Airway and Aero-Digestive Co-Dependence, the Program Planning Committee did an amazing job in selecting the best speakers and truly brought in inter-disciplinary contributions. Dysphagia, as a symptom is never alone, and this was addressed throughout the conference with relevance to development, physiology, mechanisms, pathophysiology, pathology, novel diagnostic methods, new therapies, transdisciplinary practices, global approaches, nutrition, and rehabilitation programs. Dr. Jeff Palmer, received the prestigious DRS Gold Medal. This is the Society’s highest honor and is awarded in recognition of distinguished service and contribution to the Society. The Dodds-Donner Lecture by Dr. Joel Richter, was a grand success and generated a lot of new interest among the members, as to who should take charge of the complex dysphagic patient, who clearly needs inter-disciplinary guidance. Grand Rounds-I presented by Dr. Lisa Duizer on the dynamic sensory experience of eating, and Grand Rounds-II presented by Dr. Rosemary Martino on the bed-side evaluation of dysphagia and in-depth clinico-pathological correlations. Both the Grand Rounds Topics were very well received, and had a lot to offer to the audience in taking home new ideas to implement. International Women’s Day (Friday, March 8th 2019) was celebrated amidst a standing ovation and by recognizing the Women in Science Education and Research (WISER)! The Lunch and Learn Sessions- were six workshop-style sessions to include a highly interested audience joining inter-active inter-disciplinary sessions. This was a huge hit, and many have voiced that we should continue these sessions in future years. Details on ‘how to’ were presented by the leaders in the field. There was a take home message to everyone so that immediate application to our patients can be possible. Sponsor-a-student program was possible to support 2 students through donations. Silent auction events by the dynamic WCPRC committee, generated a revenue of $2,596, and total donations received were over $6,700. All these revenues support research and endowment, scholarships and student programs. New networking opportunities were provided through the social Harbor Walk, Welcome Reception, and the President’s Reception, which was on the historic San Diego Maritime Museum’s Star of India vessel, the world’s oldest sailing ship. As I moderated the round table conversations at the President’s Dinner, there was a genuine interest in advancing the society goals and revisit the strategic planning and mission. To that effect, approved by the Board of Directors, an in-person meeting is planned in Milwaukee, WI, for this summer-2019, under my chairmanship. A steering committee has been formed to include Dr. Doug Van Daele, Dr. Stephanie Daniels, Dr. Gary McCullough, Dr. Reza Shaker and myself to set the agenda. Several international leaders will meet to discuss the next steps. Stay tuned! Approval has been given by Dr. Reza Shaker, Editor-in-Chief, Dysphagia Journal, for publishing 10 Hot Topics based on the reviews received from the 2019 Annual DRS Meeting. These topics will be selected from among the invited articles for a special supplement of Dysphagia Journal. Stay tuned! Finally, Pediatric Dysphagia within the DRS has matured! Formation of a Special Interest Group is in the process to enhance networking and focused collaborations. The goals are to advocate and advance the pediatric research related to safe swallowing, airway protection, interdisciplinary feeding management, career mentoring, and rapid translation globally. There is an urgent need to employ new research in infants and children so that they benefit from the scientific advances during their formative rapid maturational age. Stay tuned! Congratulations to all of our award winners this year! Please see the complete list below: New award this year, was The Justine J. Sheppard Award, dedicated after Dr. Justine Joan Sheppard who has made tremendous contributions to dysphagia in those with physical disabilities. I am very grateful to the sponsors of these awards and to all of you who have donated to our Research & Education fund, which supports the awards. If you haven’t donated to the R&E fund, please consider doing so; contributing to your DRS family is important to sustain and advance new programs. Student Award: James Curtis- Effects of Verbal Cueing and Bolus Holding on Respiratory Swallow Coordination in Parkinson’s Disease. Finally, it has been a great privilege to serve as the President of DRS. I am truly honored to be the first pediatrician ever to lead this distinguished research society. My gratitude is extended to every meeting attendee who devoted his or her valuable time and financial resources to attend the 2019 DRS Meeting. While understanding that we are a truly diverse society, some imperfections in not satisfying your individual expectations can be understood; and I am deeply apologetic for that and ask for your forgiveness. I am indebted to our leadership team who have volunteered countless hours—Gary McCullough, Susan Langmore, Nadine Connor, as well as all of the members on the Board of Directors, who have dedicated so much of their personal and professional time and energy to support the mission and realize the DRS vision. Congratulations and thank you to Dr. Jacqueline Allen, our new Secretary/Treasurer, and our new councilor—Dr. Nicole Rogus-Pulia. I have no doubt Dr. Susan Langmore will take the DRS to great heights as she has an outstanding team to achieve those goals. I look forward to seeing you at the 28th meeting to be held during March 18–20, 2020 in San Juan, Puerto Rico at the Caribe Hilton. Your inspiration, dedication, and perseverance are the strengths of this DRS Family that I am proud to belong! Member dues include full online access to the journal.